We cannot be guaranteed that rooms will be available before 3.00pm on the day of arrival although the hotel will always try to accommodate guests who arrive early. Checkout time is 11.00 am. To comply with the wishes of the majority of the guests, it is requested that guests are dressed smart casual. Please note we do not allow shorts and flip flops in the restaurant. The management regrets that they cannot be held responsible for loss of or damage to any articles of value unless they are deposited at reception and a receipt has been obtained. 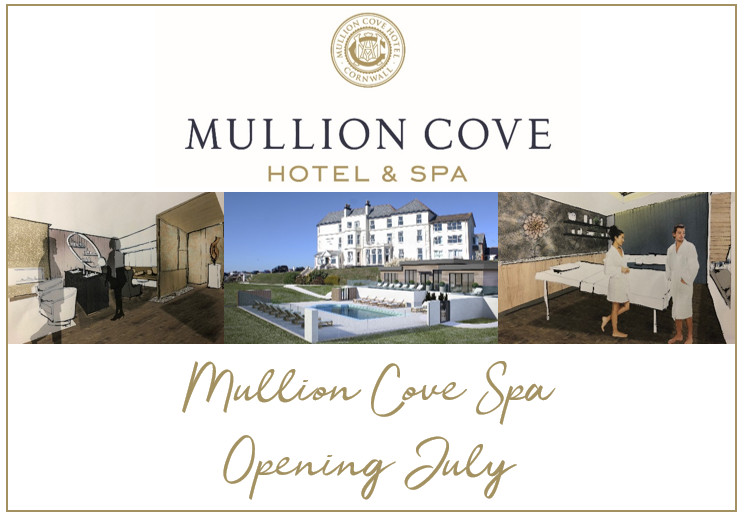 There is ample car parking to the front of Mullion Cove Hotel (overlooking the magnificent view) and ask guests to use the space directly in front of the front door for dropping off luggage or assisting elderly or disabled gusts to arrive, then moving their car to the carpark opposite or the overflow carpark to the right of the turnig circle. Light refreshments are available from the Room Service menu. Restaurant meals, i.e. Breakfast, Lunch and Dinner are also available in rooms during the times these meals are normally being served at an additional charge. In case of late arrival full cold suppers can be placed in the room with prior notice. Parents should be aware of the dangers of open windows and balconies in rooms where there are small children. Dogs are not allowed in any of the public areas of the hotel other than the specified Dog Friendly Lounge. Dogs may be accommodated in guest’s rooms at a charge of £9.00 per night excluding food. Dogs are not accepted in any of the second floor rooms. A deposit of £100.00 per room will be required to confirm bookings. All deposits will be credited to the account on arrival. If a reservation has to be cancelled, within twenty eight days of arrival, there may be a cancellation charge, if the hotel is unable to re-let the accommodation, of up to 66% of the agreed dinner, bed and breakfast terms quoted, If the accommodation is re-let the deposit will be refunded in full and no cancellation charge will apply. Cancellation Insurance is recommended. The hotel accepts cash and most major credit cards. Accounts are due for payment upon departure. No service charge will be added. Gratuities are at your discretion – but we do operate a tronc system where by any gratuities handed to any of our staff are shared equally between ALL members of staff. Please advise reception of any disability or medical condition, including food allergies that could effect health or safety during a stay.